From wearing my hair straight since I was 18 years old I’ve blowdried, straightened and wore weaves once I started getting into fitness. February this year I got to the point of resolve, after watching the scene in Black Panther of Danai throw her wig off during the fight scene. I said nah, I’m going to embrace what God gave me and stop conforming to certain ideals of beauty. A quick look online had me unlock a huge curly/natural community that had me feeling like I’d stepped into Narnia. Whoa, there were a ton of naturals feeling just like me! My hair has its own personality, I nickname my hair Froesha, she plays to the beat of her own drum. The last ten months have brought a few curl nightmares. 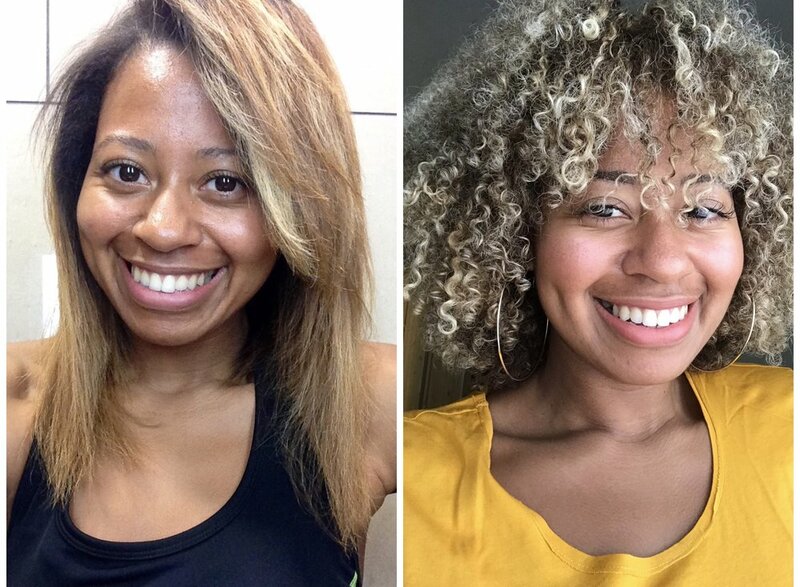 One month into being curly I was desperate to bleach it blonde which stripped my new curls away. In June I needed the ‘big chop’. My hair texture has changed numerous times so I need to work with the change instead of fighting against it. The focus is healthy growth over obsessing with length, and building my blossoming relationship with Froesha! I’m so glad I went back to natural, I definitely feel more bubbly and confident with it. It has definitely been a defining moment of 2018 for me.